John Farrow studied at the University of Western Australia (UWA), Perth, completing a Bachelor of Science with First Class Honours with a double chemistry major. He was awarded his Doctorate in Physical Chemistry, also from UWA. 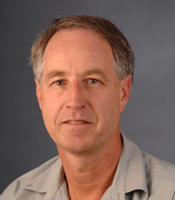 Before joining CSIRO in 1984, John Farrow worked for a year as a Postdoctoral Fellow, researching the mechanism of the iron oxidation stage used in the Becher Process for the production of synthetic rutile. Since joining CSIRO, John Farrow’s main research interests have been in the areas of surface chemistry and solid-liquid separation, especially flocculation and thickener technology. Over his career, he has worked on many collaborative projects, including numerous solid-liquid separation projects, with more than 50 Australian and overseas minerals processing companies. He was the Manager of the long-running, multi-phase AMIRA P266 ‘Improving Thickener Technology’ project which by 2010 had already delivered in excess of A$445 million in benefits to Australia’s minerals industry. the chemistry and engineering of the Bayer process for production of alumina from bauxite. Other activities include Site Manager for CSIRO Process Science and Engineering’s Waterford site in Perth, Western Australia and Theme Leader for the Minerals Down Under Flagship’s ‘Creating Wealth Through Advanced Processing’. The theme’s goal – to enhance the competitiveness of Australia’s minerals industry by improving the performance of existing mineral processing operations and developing new ways to extract value from low grade or complex ores. He also served as a member of the Executive Committee of the Parker Cooperative Research Centre for Integrated Hydrometallurgy Solutions.